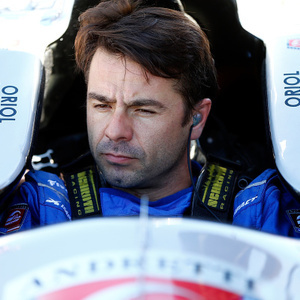 How much is Oriol Servia Worth? Oriol Servia net worth and career earnings: Oriol Servia is a Spanish racing driver who has a net worth of $40 million. Oriol Servia was born in Pais, Girona, Spain in July 1974. He has competed in the Spanish Touring Car Championship in 1993, the Formula Campus by Renault and Elf in 1993, the Championnat de France Formule Renault from 1994 to 1995, the French Formula Three Championship from 1996 to 1997, the Renault Spider Europe in 1997, the British Formula Three Championship in 1997, the Indy Lights from 1998 to 1999, the Rolex Sports Car Series from 2006 to 2007, the American Le Mans Series in 2011, and Formula E from 2014 to 2015. Oriol Servia competed on the Champ Car series from 2000 to 2007 with his only win at the 2005 Molson Indy Montreal. He has competed on the IndyCar series for Rahal Letterman Lanigan Racing. In 2015 he became the managing director for the technical and commercial partnerships for Dragon Racing.